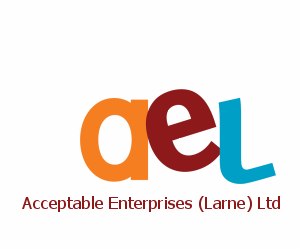 We at Ael provide disadvantaged people with the support to access further education, training and employment opportunities. Packaging. No job too large or small for us to complete for you. We pack individual items and specified packs for the DIY, aerospace, medical and other industries. We pack individual items specified packs for the DIY, aerospace,cosmetic, medical and other industries. Print Finishing. AEL offer a comprehensive range of print finish operations including machine shrink-wrapping, manual banding, labelling, stringing and folding. Sample Making. Does your product require samples for use by salesmen, shops or potential customers? Perhaps the production of your samples is a time-consuming and unpopular job. Sub-contracting the work to us might be the answer! Mail Shots/Mail Merge. We prepare mail shots, and have completed contracts on behalf of councils, auction houses and printers. Sub-Contract work for Industry. We have carried out such contracts as electronic sub assembly, soldering and general component assembly. Enjoy the convenience of a reliable, flexible and professional Outsourcing Partner. Mop Manufacture. AEL is the sole mop manufacturer in N. Ireland, producing cotton and mixed yarn mops for both the domestic and commercial cleaning industries.